In a Nutshell: BitPay has been making Bitcoin transactions accessible since the cryptocurrency’s early days, and has grown in recent years to include services like its Bitcoin Wallet and its BitPay Card. With its latest expansion, BitPay enters the realm of cross-border payments, which gives businesses the opportunity to do away with multiple payment processors across different countries. B2C merchants also gain the potential to reach untapped markets, while B2B companies can get paid quicker and avoid transaction fees associated with bank wires. 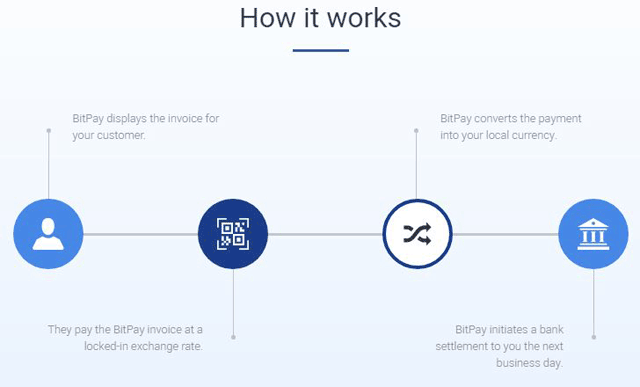 BitPay offers all these advantages with no upfront costs. Bitcoin has led the popular charge for cryptocurrencies in recent years, frequently grabbing headlines as more and more people become familiar with this relatively new form of currency. For some, Bitcoin is appealing as a decentralized global currency with lower transaction fees. Others are drawn to the potential anonymity in using cryptocurrency. And some just want to be part of what they see as the latest trend. For a company like BitPay, the number of times Bitcoin pops up in the news doesn’t matter because either way, it will continue to work on making Bitcoin transactions easier for businesses and consumers alike. 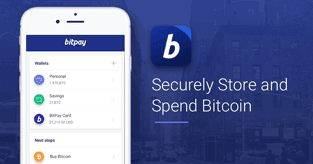 Over the years, BitPay has expanded its service offerings from payment processing to include features like the BitPay secure Bitcoin wallet and the BitPay Card, which allows users to easily convert Bitcoin to dollars to spend anywhere Visa is accepted. BitPay processed $1.2 billion on Bitcoin payments in 2017, said Sonny Singh, BitPay’s Chief Commercial Officer. BitPay continues to make Bitcoin payments easier in new ways, most recently adding the ability to make payments across national borders for B2C and B2B companies in a quick and easy manner. 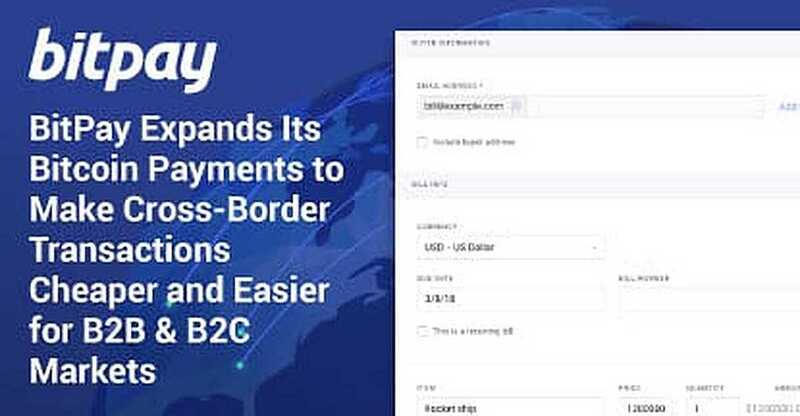 Customers who implement BitPay’s cross-border features will be able to send and receive “international payments with BitPay and get 100% accuracy, zero fraud risk, and quick bank settlement,” according to the BitPay website. Singh said that, for most companies, making payments across national borders has not been a simple process. But BitPay can change all that. Traditionally, if a company in America, for example, wanted to accept international credit card payments, the company would need to secure a payment processor for every other country or region of the world it wants to accept payments from, Singh said. But now, companies can implement BitPay, and it eliminates the need to use processors from every part of the world. He said in China, there are about 60 different payment options, which is not unusual in many parts of the world. But with BitPay, a company doesn’t need to make arrangements to handle all those various options. On average, Singh said that 53% of the transactions BitPay’s B2C merchants are seeing are from new customers. Singh used Microsoft as an example to walk through how the process works. He said if a customer goes to Microsoft’s website and wants to buy a video game for $50, they will be given an option to pay in Visa, Mastercard, PayPal, or Bitcoin. When the customer clicks the Bitcoin option, the interface engages BitPay. BitPay’s internal program then immediately pulls the current Bitcoin exchange rate and shows it to the customer. Singh said, if, for example, $50 is equal to .01 Bitcoin at the time, Bitpay will lock in the rate and does not markup or change that rate. Then the customer pays .01 worth of Bitcoin and the transaction goes through immediately. Singh said although BitPay uses Blockchain technology, it is able to confirm the purchase without the customer having to wait for the usual hour or so, or for six blocks to be mined and processed. BitPay’s bank then settles with Microsoft’s bank the following day, similar to how a credit card payment is settled. BitPay deducts a 1% transaction fee for this service. This method is appealing to companies because they never have to take any currency risk, Singh said. And the company only pays a 1% transaction fee, where credit card fees are normally 2.7% to 3% for online transactions. Plus, there is the bonus of getting customers from all over the world that the company might not have previously had access to because they don’t have a credit card, he said. Additionally, there is less risk associated with the transaction when credit cards are not involved. “So, the company can take a $5,000, $10,000, or even $50,000 payment if they want to and not have to worry about chargebacks and things like that,” Singh said. Companies in the B2B space can also receive significant benefits by implementing BitPay, Singh said. He offered a hypothetical scenario in which a data center services provider in the US has a customer in Hong Kong that owes the US company $1 million. Normally, the company would send a bank wire, which takes 3 to 5 business days and costs 3% to 4% in fees. Sonny Singh is the Chief Commercial Officer at BitPay. Singh said the whole process is cheaper and quicker than a bank wire in most regions of the world. “That’s really exciting to see that,” he said. Singh said BitPay has been providing these services to a number of Fortune 500 and mid-tier companies all around the world. “It’s pretty amazing to see,” he said. Singh said getting set up and implementing BitPay is a very simple process. A representative from the prospective company just needs to visit the BitPay website to set up an account or to reach out to a member of BitPay’s sales team. Singh said companies do need to provide some basic documentation, bank information, and pass some compliance tests to ensure the identity of the company and whether it is selling illegal items or items banned by BitPay. The company can then implement BitPay through API or email invoicing. While knowledge of cryptocurrency is quickly spreading, it is still a relatively new player in the finance world. So, what does Singh say to those executives who might be leery of Bitcoin, or don’t understand the concept? Singh said he will continue to allay the executive’s concerns, explaining that there are no hidden fees or upfront costs. Then, once the first test transaction proves to be a success, the customer is usually completely won over. 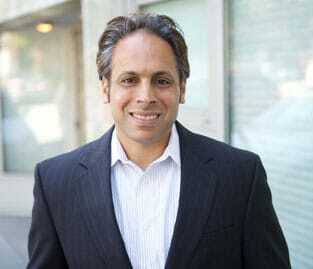 To further assure potential customers of BitPay’s status as a real player in the space, Singh said he will also point out the company’s association with well-known names in the financial world, including former Chairman of the Securities and Exchange Commission Arthur Levitt, who serves as an advisor, and former Boston Consulting Group CEO Carl Stern, who sits on BitPay’s Board of Directors. Regardless of whether Bitcoin skyrockets in the near future or continues to hold steady, BitPay’s services will keep making Bitcoin transactions simple for a large audience.